It’s April Fool’s Month on Virtual Bastion! Join us as we celebrate all the silly and kooky things we love about games and gaming. My third post for the month is inspired by Hatm0nster’s recent post on silly ol’ Daxter from the Jax and Daxter games. Here I feature a few of my favorite foolish heroes – those folks who just don’t know what’s good for them but somehow still manage to save everyone and everything. 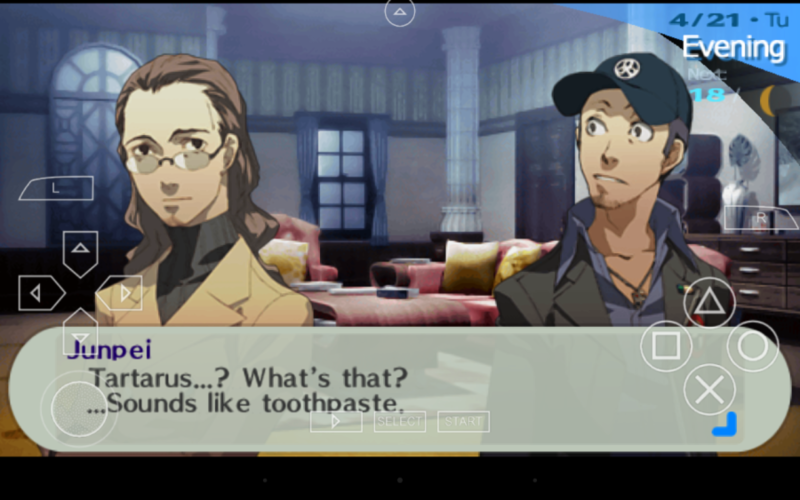 In Persona 3 (or P3 Portable, which I’ve been playing), Junpei Iori is one of the main characters’ main sidekicks. He’s a traditional joker – great at wisecracks and being generally goofy, less great at passing his school exams. In fact, for most of the time I’ve been playing, Junpei’s clearly remained at the bottom of his class grade-wise. And yet, he more than makes up for his lack of smarts in battle, where he’s literally the first one to jump at an enemy with his sword…even if he tends to awkwardly wield it like a baseball bat. Throughout the Uncharted series, there’s is no end to the oddball predicaments that befall protagonist Nathan Drake. He may be pretty good at treasure hunting, but he seems to be much better at finding himself in the middle of a ridiculous firefight or at the end of a near-death experience. Though the Indiana Jones comparisons readily fly when examining Drake as a character, it’s safe to say that we probably wouldn’t ever find him at the front of a classroom teaching archeology. No offense. 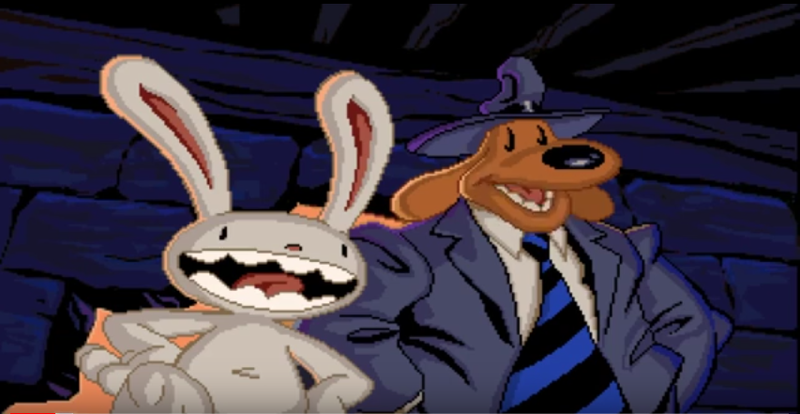 If ever there was a duo of buffoons to love, it’d have to be Sam and Max. This famous LucasArts coupling of an anthropomorphic dog and hyperkinetic rabbity thing is among games most fun…and most foolish. While Sam and Max make a great team, neither are exactly the best private detectives. During most of their adventures, they seem to skid along only on dumb luck and chance. Sure, every now and then Sam (the anthropomorphic dog) has a bright idea, which usually comes at Max’s (the rabbity thing) expense, so whatever it takes to get the job done is a job done well, as far as they’re concerned. If I may be blunt, the beloved hero from The Secret of Monkey Island games, Guybrush Threepwood, is not the sharpest tool in the shed. Oh, he effectively defeats the ghost pirate LeChuck, and he’s charming enough to get what he needs to do so, but he’s also kinda dumb. To be fair, he’s also rather young, and infiltrating a ghost pirate’s ranks is no doubt a difficult task for anyone. But throughout The Secret of Monkey Island, Threepwood ends up in some horrible situations, pretty much by his own hand, and he even botches his plan to rescue the lovely Elaine from LeChuck’s nefarious grasp. He’s a piece of work, that Threepwood is. I think it’s fair to say that nearly any main character from the any GTA game could fall under the “foolish hero” nomenclature. After all, they all end up biting off more than they can chew in some way or another. But here I chose Huang Lee from GTA: Chinatown Wars specifically because he might be the most foolish of them all. He’s certainly no fighter, just the spoiled son of a Triad boss tasked to deliver a special sword to the new head of the organization, Lee’s uncle, in Liberty City. Intoning “you had ONE job,” almost as soon as arrives, he’s attacked, the sword is stolen, and unfortunately for the Triad, Huang’s the only one who can retrieve it. This event sets off the rest of the game, but still, Huang, you had ONE Job…! Who are some of your favorite foolish heroes in games? For my third #aprilfoolsmonth post for Virtual Bastion, it’s another list, this time that of those folks in game who somehow know how to save the day despite their foolish dispositions.